Chic, urban loft living in the center of it all! 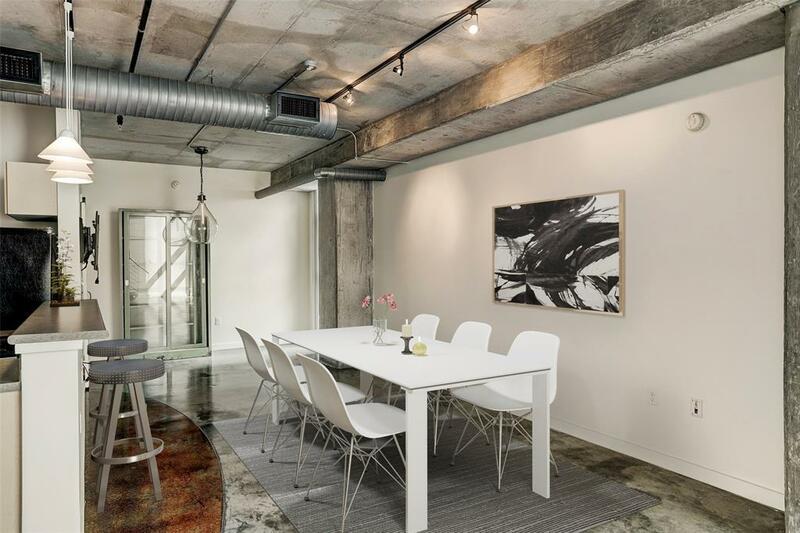 A modernists dream with polished concrete floors, exposed pillars, beams & duct work! 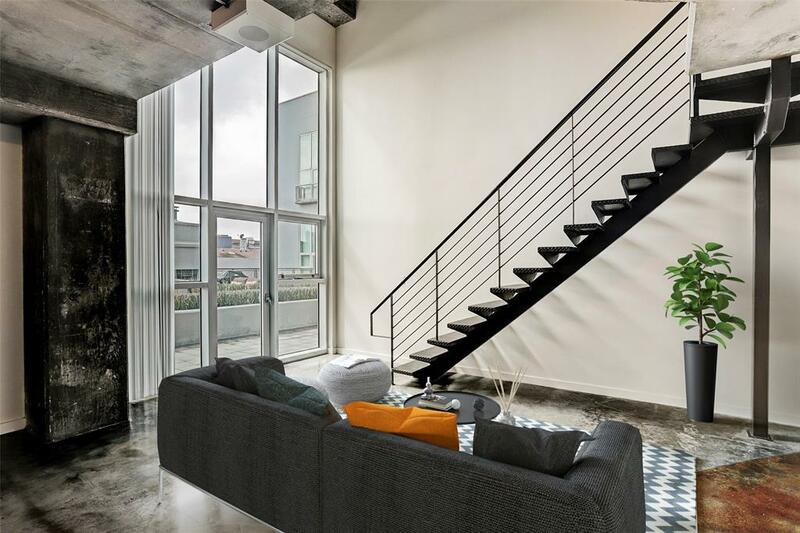 Soaring, two-story ceilings, a floating staircase with industrial stair treads & railings and tall windows enhance the architectural intrigue of this unique condo. 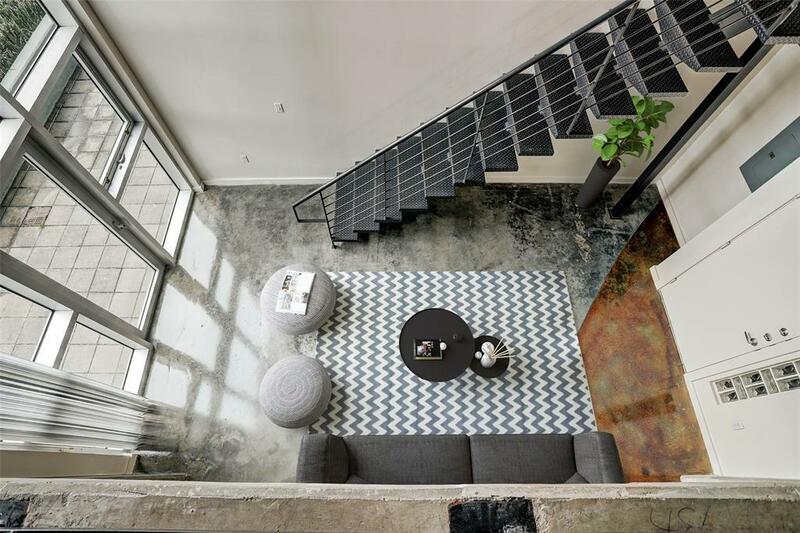 One of only a handful of lofts with direct access to the 5th floor expansive patio & zen garden, this urban oasis is quite the compliment to the hip, eclectic mood of the lofts open floor plan. The kitchen boasts a breakfast bar & pendant lighting. Upstairs, the master features an en-suite bath with room for a seating area. 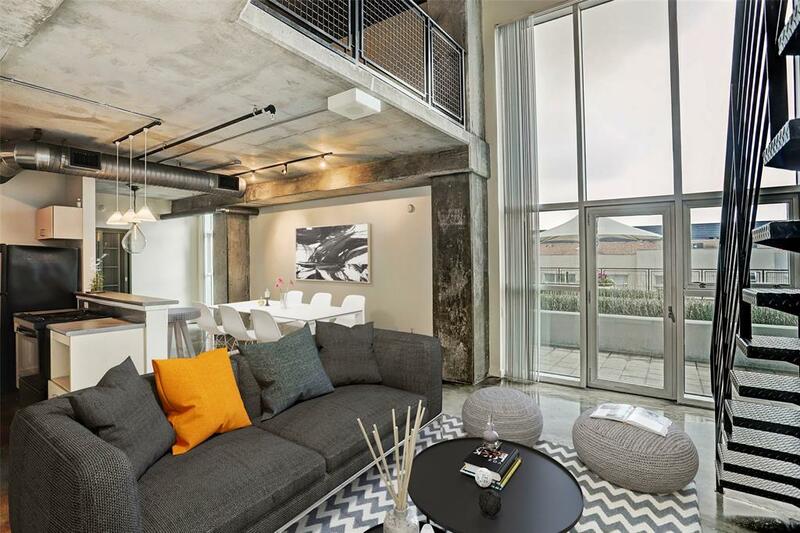 Let the ultimate loft lifestyle envelope you at The Rise Lofts! Within the building, theres a dazzling, rooftop infinity pool overlooking the skyline of downtown Houston. Community areas to socialize with your guests are abundant. Perfectly positioned in the heart of Midtown, dining, parks, shopping, entertainment, Metro light rail, and much more are at your doorstep!